Try as I might to resist another kitchen gadget, the Instant Pot (aka instapot) was calling my name. After a steady barrage of Instapot-everything on social media, I finally caved. I scooted my slow cooker out of the way and made space for my now favorite appliance. I mean, who needs anything else when the Instant Pot is 7 appliances in 1? This kitchen workhorse is incredibly functional, easy to use, and simple to clean. I’m seriously in love! Are you interested yet, if so consider using Walgreens promo codes on your purchase. 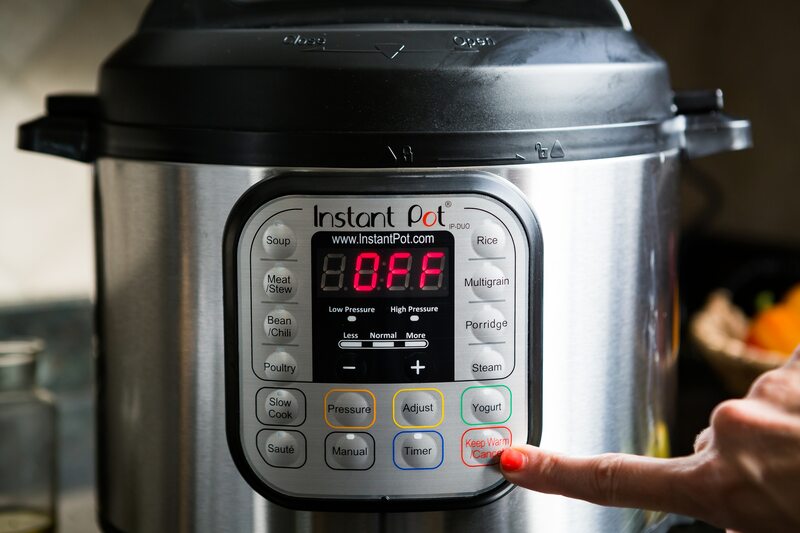 What, exactly, is an Instant Pot? It’s a 7-in-1 appliance that functions as a pressure cooker, slow cooker, rice cooker, steamer, warmer, sauté pan, and even yogurt maker. That all sounds great, but I’ve got to admit – that part about the pressure cooker? It had me a little worried. I wasn’t planning for a kitchen explosion. My fears were allayed once I discovered that the Instant Pot has 10 safety mechanisms, and if used correctly, doesn’t pose a risk. Remember safety first, stores like Harbor Freight carry a wide variety of kitchen products to keep you safe in the kitchen. 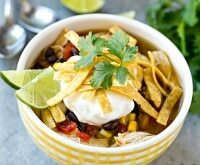 Since the Instant Pot uses steam to build pressure, you will need at least one cup of liquid in your pot. Got it! Always make sure your Instant Pot lid is closed properly and that the steam release handle is pointing to the sealed position before cooking. Consider wearing an apron or long sleeves if you feel the need for added protection, which can be purchased at stores like Old Navy or The Children’s Place. And never, ever try to open your Instant Pot until the cooking cycle is complete and the pressure has been released. There are two ways to release pressure – with “natural pressure release” or “quick pressure release.” To release the pressure naturally, leave the steam release handle in the sealed position and wait 8-25 minutes, depending on the amount of liquid in your pot. For a quick pressure release, turn the steam release handle to vent and the steam comes out quickly. You’ll want to wear a silicone mitt so you don’t scald your hand! When steam stops coming out of the vent, it’s safe to open your pot. Make sure not to fill your pot over 2/3 full, since over-filling can clog the vent pipes and create too much pressure. 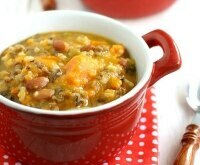 For foods that expand, such as rice or beans, do not fill more than 1/2 full. 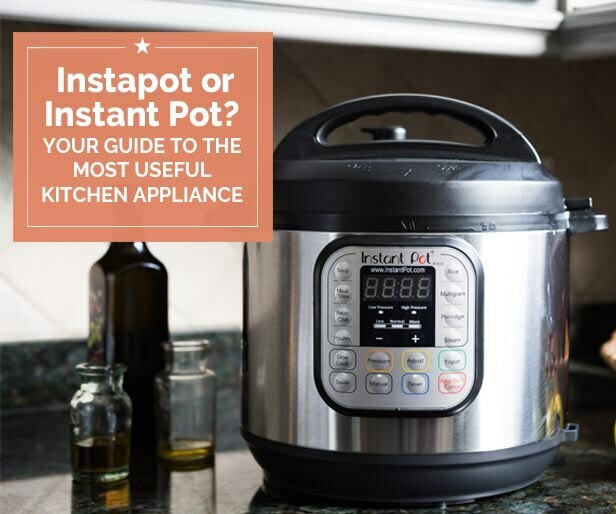 Your new Instant Pot includes a stainless steel steam rack with handle, rice paddle, soup spoon, and measuring cup, which can be purchased at stores like JCPenney. The purpose of the steam rack is to keep water out of your food, and works well with food like potatoes, hard boiled eggs and corn on the cob. Since the Instant Pot needs to come to pressure with liquid, the steam rack is used to hold non-liquid food above the water level. Manual and Pressure: The manual button means that you can easily input the number of minutes you want to cook for. The other buttons, like poultry, have a pre-set amount of time. To start, press the manual button and push the “pressure” key to choose high or low pressure. Press the timer button and use the “+” or “–” to program the cooking time. Cooking will start 10 seconds after you press the last button, and you’ll hear 3 audible beeps indicating that the cooking process has begun. 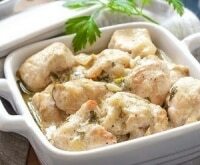 The cooking time technically does not start until the Instant Pot has come to pressure, so make sure to add on about 10 minutes to the actual cook time for total cooking time. 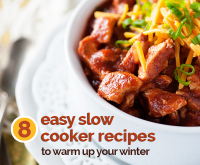 Slow Cook: The slow cooker function works like any other slow cooker, but less = warm, normal = low, and more = high. It defaults to normal after 4 hours. Adjust: The adjust key allows you to toggle between less, normal, and more to adjust the temperature. Sauté: Always keep the lid off for the sauté feature. Use this function for pre-cooking onions, garlic, or browning meat. Press more for higher heat to brown and sear, or less for more of a simmer. Keep Warm/Cancel: The keep warm/cancel button will cancel any other feature on the Instant Pot. You can keep food warm at 167° by pressing more, or at 133° by pressing less. Steam: Make sure to use the steam rack with the steam button, since you don’t want your food coming in direct contact with the bottom of the pot. 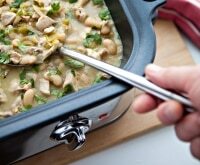 Soup: The soup button cooks with high pressure for 30 minutes, and adjusts to 40 by pressing more or 20 minutes by pressing less. 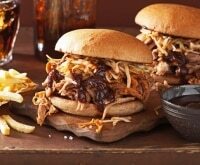 The same adjustments work for the meat/stew, bean/chili, porridge and poultry buttons. Rice: The rice button is fully automatic, and the ratio of rice to liquid is 1:2. Meat/Stew, Bean/Chili, Poultry, Mulitgrain, Porridge: These buttons are pre-programmed to cook your food for a specified amount of time. 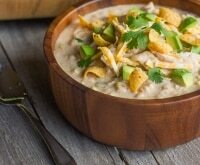 Haven’t bought an Instant Pot yet? Check out deals by using The Home Depot promo codes. 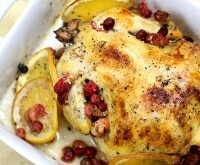 Get started with these easy and delicious ideas – hard boiled eggs, a simple soup, baked potatoes, spaghetti squash, rice or a whole chicken. 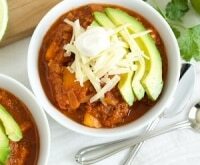 Haven’t bought an Instant Pot yet? This 6-quart IP-DUO60 is the most popular model, which is a 7-in-1 appliance, combining a pressure cooker, slow cooker, rice cooker, yogurt maker, steamer, warmer, and sauté/browning functionality. There are 14 programs for this model, ranging from soup to poultry to porridge. This device pressure cooks at high or low pressures, giving you the option to cook food very quickly or avoiding overcooking delicate foods. 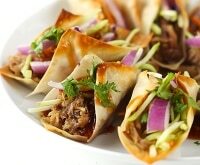 It offers three temperatures for sauté and slow cook, as well as an automatic keep warm function. The Plus60 is an upgrade on the regular DUO60. It’s a little pricier than the DUO60, but has some additional features, including cake, egg, and sterilize settings. Other upgrades include a blue LCD screen display and more pronounced max/min fill lines on the inner bowl. If you have a large family or cook in batch, consider the 8 quart IP-DUO80 7 model. The IP-DUO80 is the same as the DUO60 and DUO50, but has an 8-quart capacity. You’ll pay a bit more, but you may need that extra space. 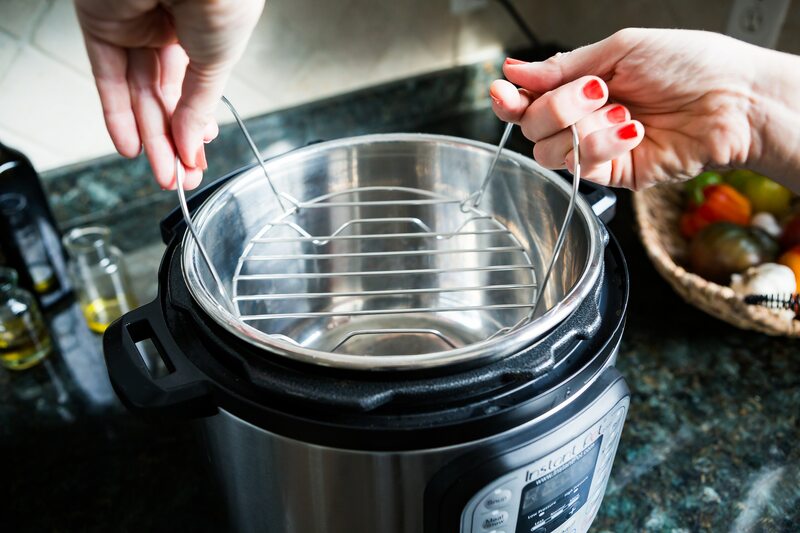 The Ultra is a new model of Instant Pot which lets you set custom cook times, temperatures, and pressures, as well as Sterilize, Cake, and Egg functions. This model also includes a cooking indicator screen showing where you are in the cooking process (preheating, cooking, warming) and automatic altitude adjustment. There’s a pressure release button as well. For those who want virtual control, The 6-quart IP-Smart Bluetooth has all the same basic functions as the three sizes of IP-DUO, but it also connects via Bluetooth to your smartphone so you can program and monitor cooking from afar using the Instant Pot Smart Cooker app. 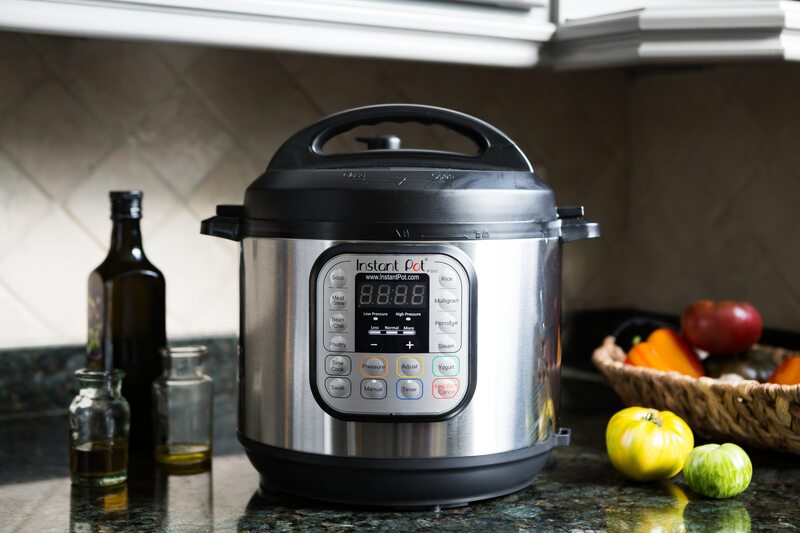 The IP-LUX60 V3 is the most affordable model of Instant Pot, and the updated version adds cake and egg cooking programs to the lineup of functions. 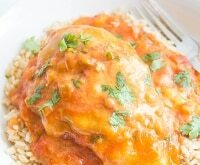 However, it lacks Bean/Chili, Poultry, and Yogurt settings, as well as an option to cook at low pressure (although it still has the ability to pressure cook at high pressure). It also comes without some of the accessories found on other models, like a condensation collector and cord rack. 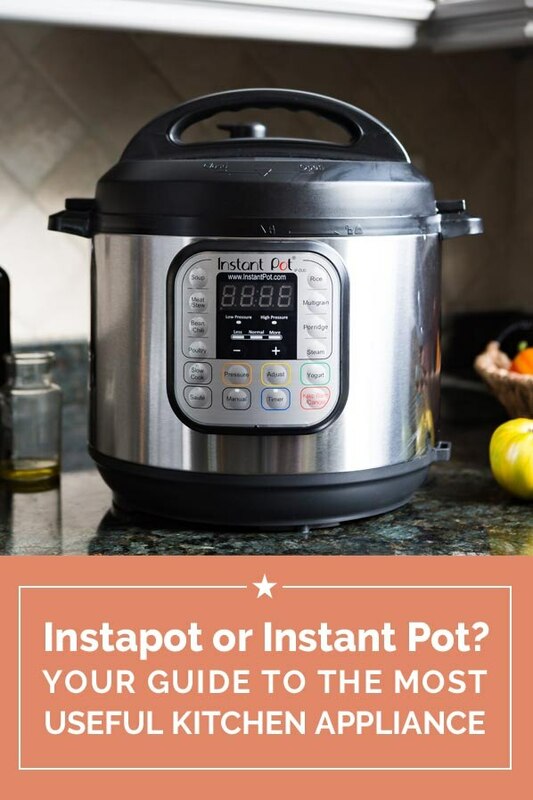 InstaPot is a brand name just like Instant Pot, so your article misleads people into thinking its a brand comparison, when you’re only actually covering Instant Pot.